Easter 2012: My 9th month on the World Race was drawing to a close. 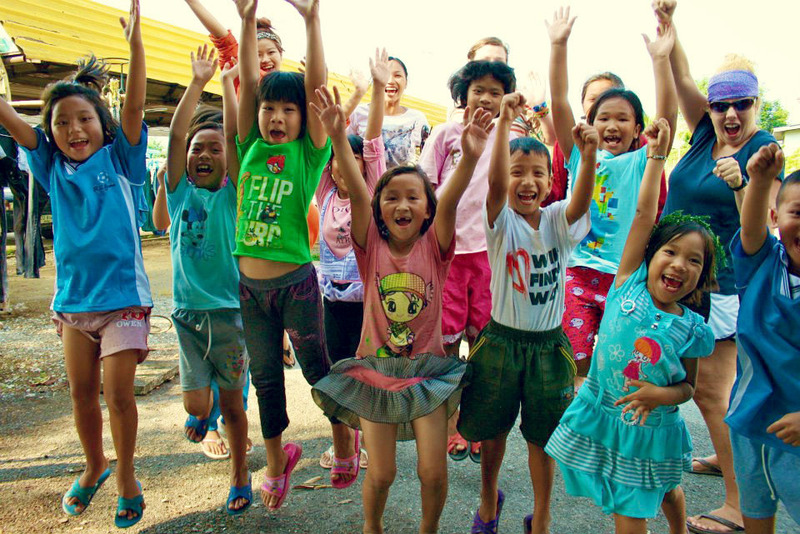 We had just speant the last month working with women in the red light district and kids in the slums of Chiang Mai, Thailand. In this eastern country we lacked all the traditions of Easter, but that’s not what Easter’s about really is it? Forgoing family skype dates and the traditional Easter Cuisine we headed to the closest taste of home we could find, Diablos Mexican Restaurant (just now I’m realizing how ironic that name is, haha). It didn’t feel like Easter, but man was it sweet. Here I am, a year later, far removed from the familiar comforts of the far east and sadly, far away from the new family I spent that sweet last Easter with, but how good it was to just settle into home, hide Easter eggs and go to church. 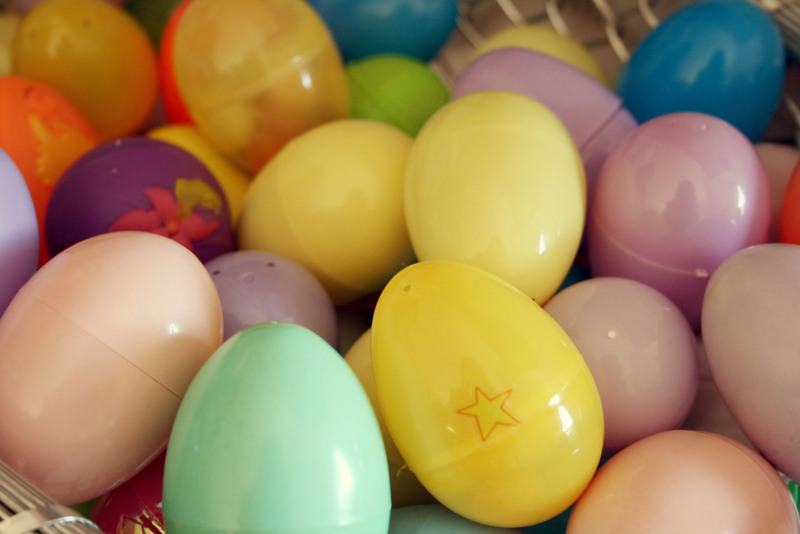 I soaked it up, because with my travel history I never know how many Easters I’ll get to celebrate at home. And what a beautiful day it was! 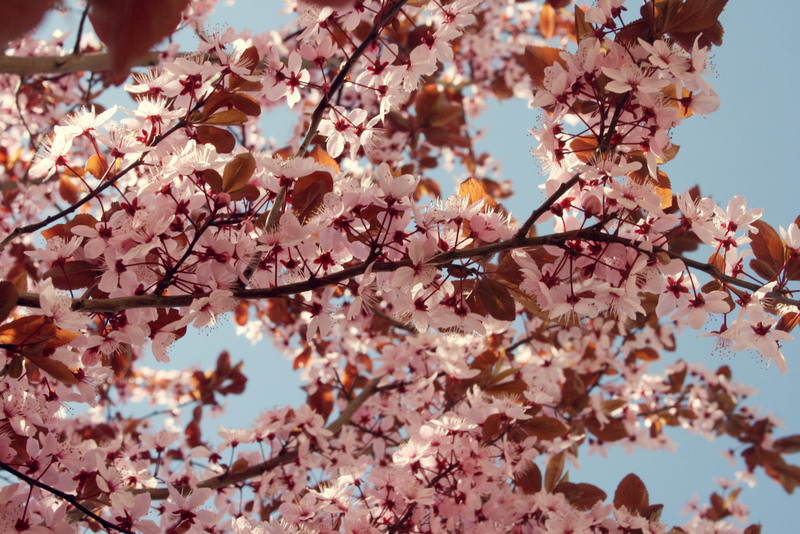 The cherry blossoms were out in full bloom and just begging to have photos taken of them. 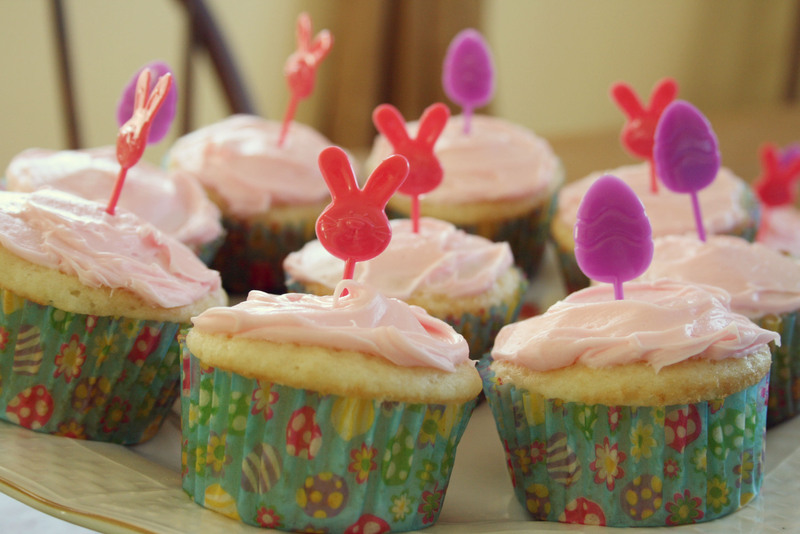 I’m always looking for an excuse to bake something fun, so when I found this Easter cupcake wrappers and picks I knew I had to bake some cupcakes. Then when I came across pink lemonade frosting at Walmart it was a done deal. They aren’t the cutest cupcakes I’ve ever made. I decided to forgo my Wilton cake decorating kids for a simple butter knife, but boy did they taste good! 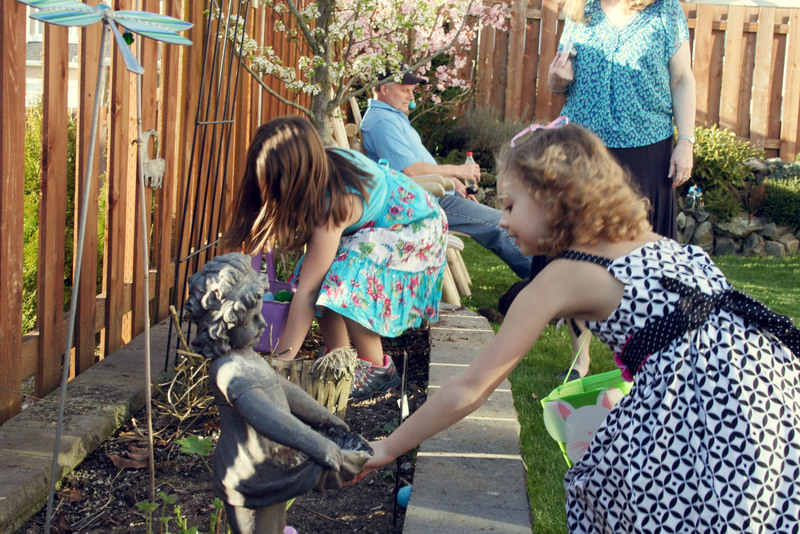 Before everyone arrived I gave my 6 year old niece her Easter basket (I had so much fun putting it together!). 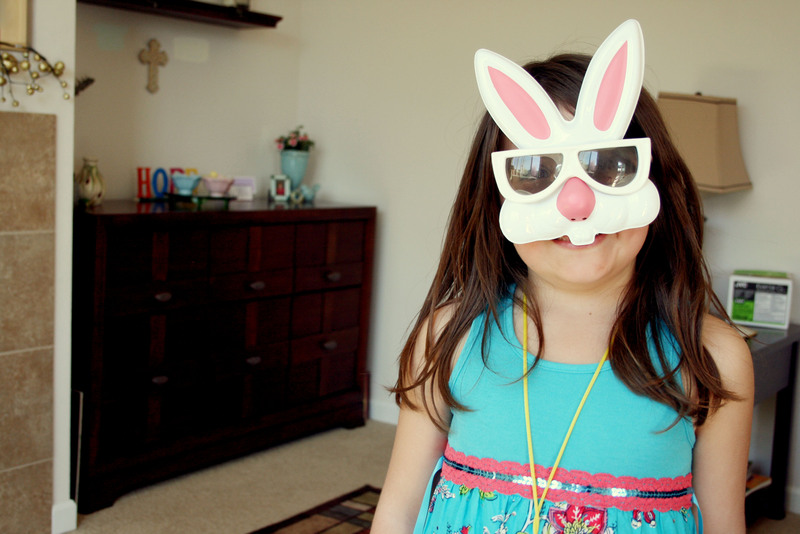 She went straight to these bunny sunglasses I got at the Dollar Tree, put them on and starting hopping around the house. Man I’m going to hate when she gets older and looses this carefree spirit! 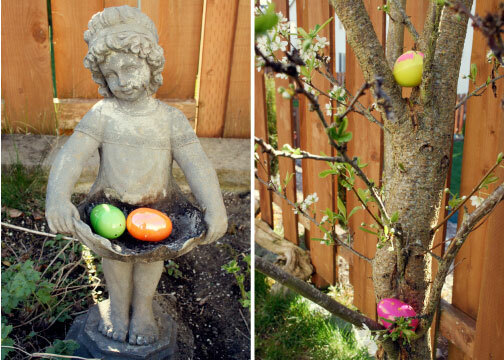 This year, for various reasons my parents decided to host Easter at their house. When the sun comes out and temperatures rise (it was more than 70 degrees! Unheard of for WA in March) we head outside and spend most of the day there. 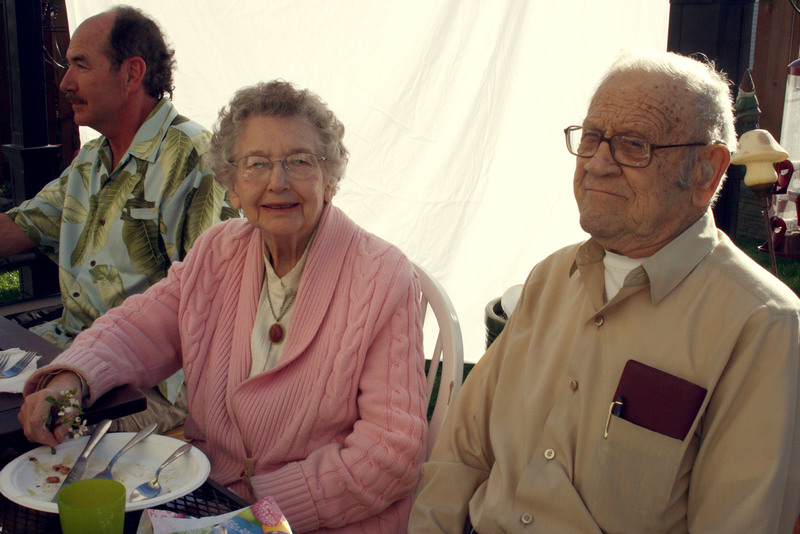 Aren’t my grandparents so precious? I know my Grandpa looks a little grumpy, but he was playing around, trying to act stiff. I guess the hilarity of the moment was lost when it translated onto the photo, bummer. 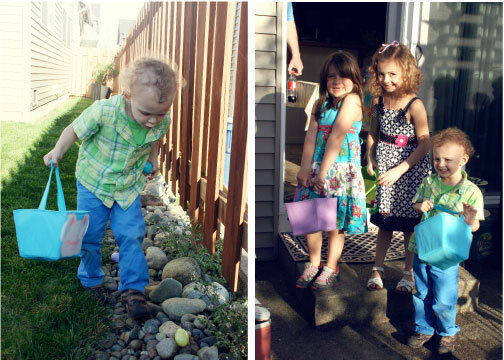 After stuffing our faces full of ham and asparagus it was time for the Easter egg hunt. For only three little ones we sure had a lot of eggs. 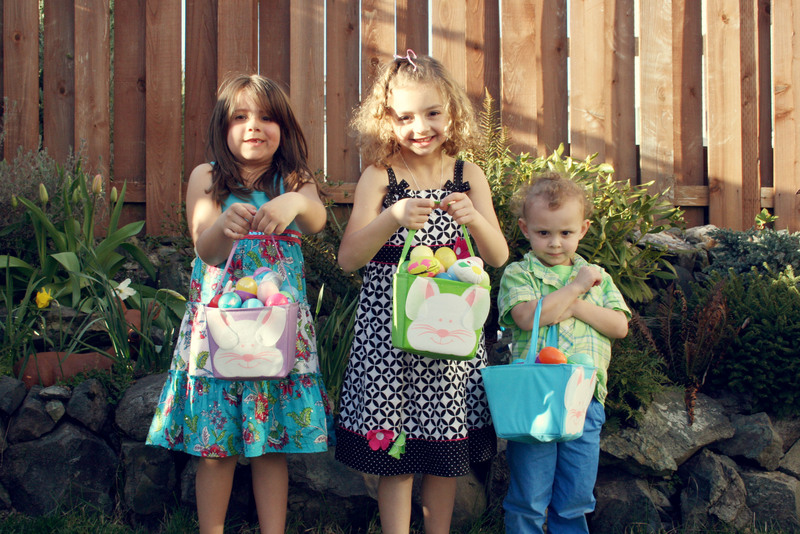 There even came a point when their baskets weren’t big enough and we had to give them plastic bags to hold the rest. Can anyone say spoiled? Haha. 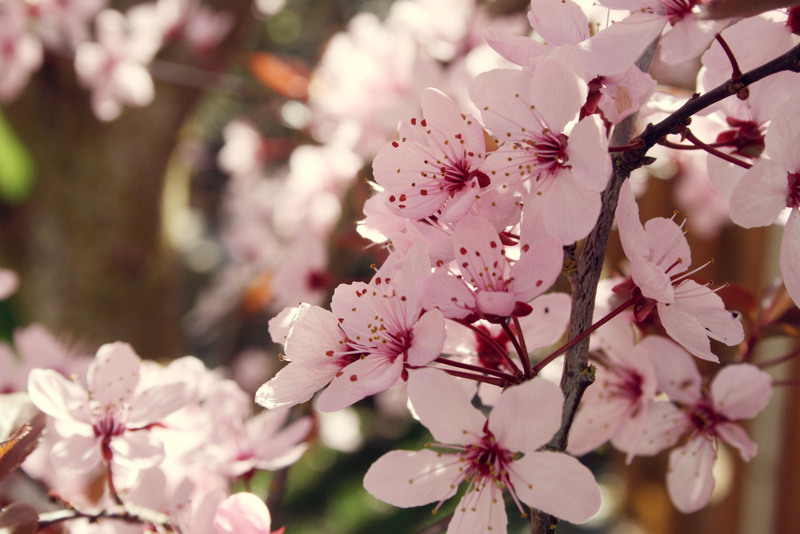 And so another Easter rolls by and it finally feels like spring. Sun shining, birds chirping, SANDALS! I man I’m so excited for sandal weather! I mean, I had a shorter sandeless season since I spent fall/part of winter in Bolivia, where it was summer since it’s South of the Equator, but gosh it was a hard 3 months!